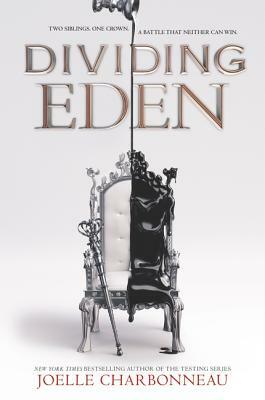 With a monarchy in ruins, a queen descending into madness and unseen threats to the throne, twins Carys and Andreus find themselves facing a Trial of Succession to determine who shall rule Eden. While monsters run amuck in the mountains, the twins, who’ve hidden each others secrets from all outsiders, have little time to question the Council of Elders and their complicit plan to head the Hall of Virtues. Carys and Andreus are forced to fight each other through a series of tests to determine who will rule the throne. Will Carys and Andreus’s bond be broken beyond repair by a Trial of Succession or will they persevere and continue to protect each other through the peril and pandemonium? From the author of the New York Times bestselling The Testing trilogy comes a sweeping new fantasy series, perfect for fans of Victoria Aveyard and Sarah J. Maas.